The Xposed Framework is one of the best hacking tools for Android. It opens up your device to a whole host of mods that would previously only have been available through a custom ROM. The mods range from simple device-specific things like improving camera performance on a single device or customising a specific launcher, to major utilities that enable you to fully power-up your device. These are available through Modules—small apps that are installed through the Framework app. The Xposed Framework works on most Android devices, but requires them to be rooted first. Let’s take a look at how to get set up with and start using Xposed. 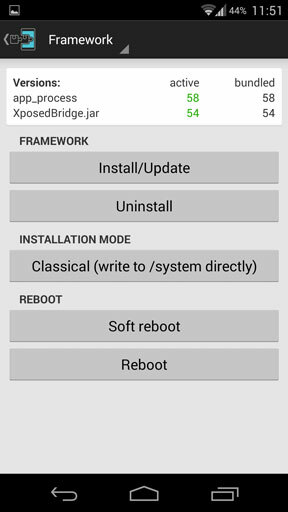 Ensure your device is rooted before you begin, then download the Xposed Framework APK. There’s an official thread about Xposed on xda-developers.com where you can find information on updates, as well as help and support. If you want, you can also download and view the Xposed Installer source. Install the Xposed APK—you’ll need to have Unknown Sources ticked first. Launch the Xposed Installer app. To activate it tap Framework followed by Install/Update. Grant Superuser permissions when prompted then tap OK and your device will reboot. When your device has restarted launch Xposed again.To find modules tap the Download button. The Download screen is split into three sections. Framework shows the details for the Xposed Installer app, and you will be able to download updates from here. Installed shows the modules you currently have, and again you will download updates to them from here. Not Installed shows all other Xposed modules. Scroll through the list, or perform a search if you know what you’re looking for (you can also search for a specific device or manufacturer name). When you find a module you like the look of tap it to find out more information, as well as compatibility. To install a module swipe to the Versions tab and tap the Download button. When it has finished downloading the Android installer screen will open. Tap Install to finish. You must reboot your phone before the module can be used. Pull down the notification shade and you’ll see a notification telling you that the module has been installed but activated. Tap Activate and reboot. When your device restarts the module will be activated. You’ll find it in your app drawer alongside all your normal apps. Launch the app and start testing out what it does. Many apps require the device to be rebooted before their settings are applied. 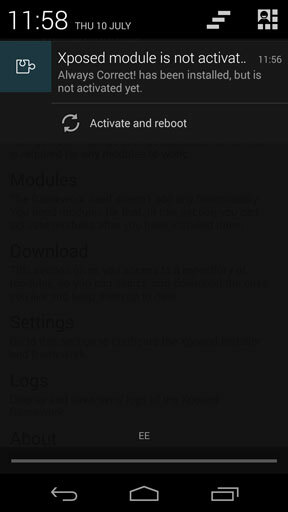 If you no longer wish to use an Xposed module—or if you think it might be causing problems to your device in other ares (such as battery life) and want to temporally disable it open the Xposed Installer app and tap the Modules option. All your installed modules are listed here. To deactivate one until the box alongside it and then reboot. 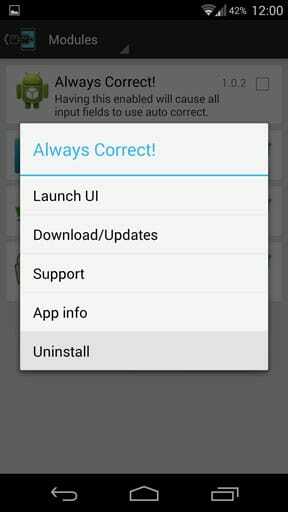 To uninstall an Xposed module long press on the module in the list and the select Uninstall from the options. It’s good practice to reboot once more.